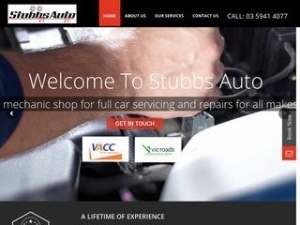 Stubbs Auto is a renowned car mechanics in Pakenham, Berwick, Officer, Narre Warren and other surrounding suburbs for over 30 years. Be it a simple service or a complex repair, we ensure that the car is back on the road at its earliest. As our services are backed by parts and labour guarantee, our clients have a peace of mind that the job done by our auto electrician in Pakenham is accurate and will help them with the uninterrupted performance of the car. Our professional team of Berwick and Narre Warren auto electrics uses high-quality parts and the latest technologies to ensure the accurate car service. We believe that a major car service is a perfect way to prevent parts from failing while reducing the long-term maintenance costs. Hence, our mobile mechanics in Narre Warren and other suburbs aim towards long-term benefits. Accredited by VicRoads and VACC, our family owned and operated business provides comprehensive car service in Pakenham, Beaconsfield, Officer, Berwick and Narre Warren. Explore more about our service of rwc in Berwick, Narre Warren or Pakenham by contacting us directly. Our team will be there to provide immediate assistance.